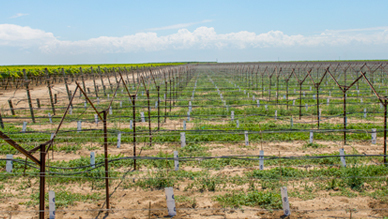 At Grapeman Farms, growing a quaility grape is our passion. Producing quality grapes is about selecting the most fertile land with the best weather conditions and selecting the highest quality vines. With Farm personnel consisting of world renown agricultural professionals, who have devoted their lifetime in the farming of table grapes, Grapeman Farms is constantly developing some of the strongest vines found throughout the world. Currently Grapeman Farms is in California, Mexico, Peru and Chili. 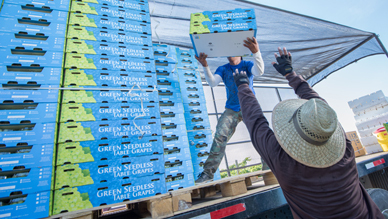 Premium quality table grapes packed into each and every box we pack. From the fields, over 6 million boxes of grapes are harvested each year. Our team of quality control professionals are watching the vines and determining the right time to harvest. 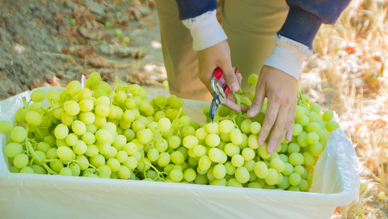 When the grapes are ready, each bunch is hand selected and hand packed in each box with the goal of providing a perfectly ripened, sweet and delicious grape. Every box. Every bunch. Every grape. 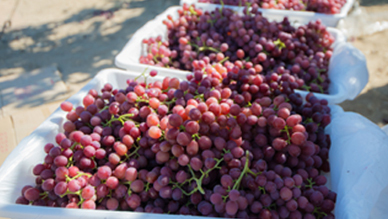 With multiple inspection steps every box of grapes must pass a rigorous approval process.This means all grapes must be in accordance with a strict set of standards that define proper size, color, taste, count, and general overall appearance. Directly from the vine to the package. We have the flexibility to provide customers with the packaging of their choice–both for style and material. Plus, we ensure that every box will maintain its quality throughout its journey until it is delivered to you.